Dr. Smithberger would like to welcome you to his dental practice. 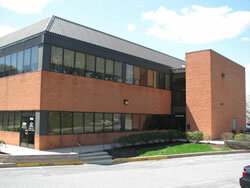 His office is conveniently located right off the beltway in Towson, MD. New patients are welcome and emergencies are seen immediately. Our practice hours are Monday through Thursday 8am-5pm. We accept most insurance plans and offer convenient outside deferred interest financing payment plans. Dr. Smithberger is a general dentist who focuses on providing the most state of the art care at an affordable cost. He is committed to regular continuing education classes from some of the leading dentists in the world. Dr. Smithberger is a member of the Baltimore Teeth Xpress team and Spear study clubs. Dr. Smithberger offers a wide range of services including regular dental preventive checkups to complete mouth rehabilitations. Our office is equipped with digital x-rays, laser, Itero (digital 3D image impressions) and an intraoral camera, that we can show pictures of your teeth on flatscreen TV's in each operatory. In addition we have SNAP cosmetic imaging that can show you before and after pictures of your smile makeover. NEW PATIENTS CLICK HERE to learn about appointments & find answers to frequently asked questions, download patient forms & more. Thank you again for visiting our website and we look forward to attending to your dental need. Our Towson dentist is a dental professional dedicated to general, family, and cosmetic dentistry with services including dental exams, dental makeovers, teeth whitening, veneers, crowns, cleanings, and more. Please call Dr. Smithberger in Towson, MD to schedule your next appointment.